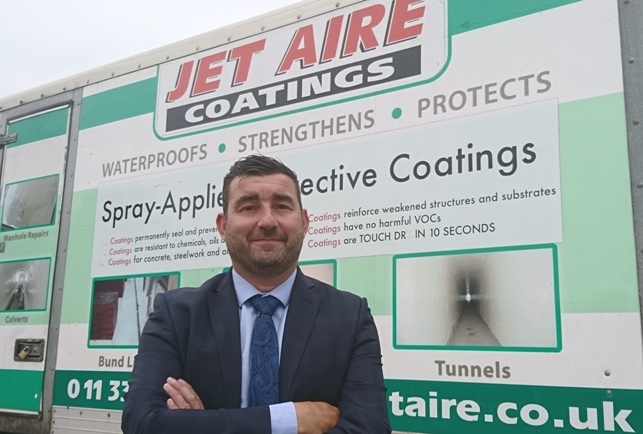 Leeds-based Jet Aire Services has appointed John Richmond as national key account manager to drive continued growth in the company’s drainage and civil engineering business throughout the UK. John joined Jet Aire as business development manager in 2017 and his substantial contribution to an outstanding year of sales revenue has earned a promotion to this key position. He will concentrate on developing the company’s core sectors including industrial, residential, retail, commercial, environmental, highways, transport and chemical. Jet Aire Services has been servicing the UK for over 30 years with a range of professional drainage solutions. With offices in Aberford and Middlesbrough, the company is accredited and approved by many of the environmental and drainage service industry’s leading bodies. Jet Aire Services holds both ISO9001 and ISO14001 internationally recognised standards for quality management as well as OHSAS 18001 certification for Occupational Health and Safety Management.